Copy & Paste jobs could be a great & easiest way to make some extra income. If you are a housewife, student, retiree or looking for a job online then copy and paste job is the best. 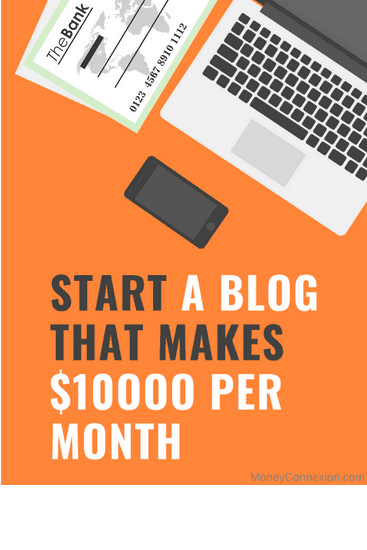 You can work from the comfort of your home and make some income. In this article we shall look at what copy and paste jobs are. Then we look at various plans of Copy and Paste jobs that you can choose from. We also look at advantages and disadvantages of Copy and Paste jobs. After reading the complete article you will get to know better about Copy and Paste jobs. What is Copy and Paste Jobs? You might be new to copy and paste jobs. However I had being working as a copy and paste data entry operator and I have good experience in this field. Actually copy and paste job is a kind of data entry job. Here you have to copy and paste paragraphs in the word documents. Initially the job might be difficult but as you work, over the time it becomes easy for you. 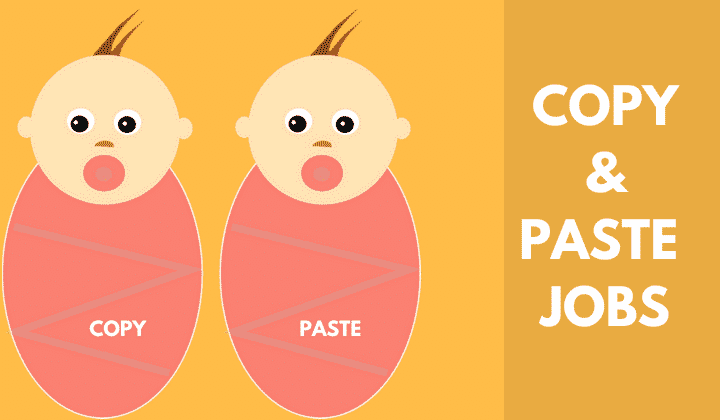 So what is a Copy and Paste Job? Well! You will have all the information about database, from where you are going to copy text matter and paste to a new word document. Hence, you don’t have to spend time searching data on the internet because it is already given. You have to copy and paste the data in a word document, that’s it. The copy and paste jobs could be online as well as offline. If it is offline then you can copy and paste on a word document and save on your computer, later you can email to the company. If it is online then you have to paste text matter directly on the company’s website. Both are easy. The text matter could be a one liner, 10 lines, 50 lines or even 100 lines. You have to finish an assignment given to you in a fixed period of time. If for a project time is 30 days then you must finish it in one month. Otherwise company might terminate your account. You have to refer various plans given by the company you are working with. Although companies are not concerned about daily work but they do bother for 30 days. For example, under STARTER scheme you have to finish at least 1500 copy-paste jobs (or files) in one month. Similarly for Master Scheme you have to do more in a given month. If work more then you get bonus or extra money. They also charge $50 to $100 for registration. Once you complete the registration, you get your assignment. Well this could be a great challenge. Finding copy and paste job is not easy. You have to search Internet and look every classified ad in the newspaper or a classified sites like Craigslist or other alternatives. Contact them on phone and ask about their plans. Also ask them about membership fees. Visit their office and find out more. After visiting their office you can pay for registration fees and start getting projects. Its a good idea if you can get the contact details of existing members so that you can find about the trust factor and other important details you might not know from the company. Copy and paste jobs have both advantages and disadvantages. It is our responsibility to give you an honest picture about the copy and paste jobs. So we have to give pros and cons of this job. So let us look at the advantages of copy and paste jobs. The first advantage of a copy and paste job is you can work from the comfort of your home and you do not have to go out. Work at home moms, students, retirees and other people can work for copy and paste jobs. Copy and Paste jobs are very simple. You will never feel bored in doing this job and you can complete all the tasks in the given time. The money paid is not bad. You can make good amount of money with copy and paste jobs. You can easily make your living if you are serious about this job. Anyone can start working for copy and paste jobs. You don’t need any prior work experience or college degree. If you can understand basic English and have basic idea of computer work, you can do this. Although there are more advantages of Copy and Paste jobs but there are few negative points also. The first disadvantage is that it is very difficult to find a copy and paste jobs. You have to search internet and other classified sites to find a genuine copy & Paste job that could pay you. Secondly, you also have to be very careful about the cheatings and scams. Because many of such companies are fake and they take money. Error for margin is very less. If your work is not perfect then they might cancel your membership. There is a training program though but you need to be very careful. So these are few disadvantages of copy and paste jobs. It is quite clear that there are more advantages of copy and paste jobs than disadvantages. If you are looking for more similar jobs then I will highly recommend you to check these online jobs because here you can make more than than a copy paste job. Hi I’m Keith Russel Alegado, I’m still a Student and I am also a Graphic Designer. I want to work as COPY PASTE encoder, because I have many hours with nothing to do. Give me an opportunity to do this work with you. Hi! I’m “Christina and seeking a position as a data entry specialist where I can maximize my accurate keyboard skills in a demanding work environment. To obtain data entry employment in a company that recognizes hard work and reliability as central to successful job performance. To secure a position of data entry clerk where my organizational and office skills are well utilized. Hi, to every one I’m a consultant inspector, I work 8 hrs a day, After i finish my duty i have nothing to do in my room, So i decided to find an extra income, I want to work as COPY PASTE encoder. Give me an opportunity to do this work with you as part time job. well, you have given lots of interesting information about this job but, there is no information about any genuine site or company which offer such jobs.